It is the 11th minute of Saturday’s home encounter against the Milton Keynes Dons. Under pressure Nick Powell launches a long ball from his own half. It looks ambitious, speculative. But Wigan’s number 17 gets his head there to nod it on, accelerating past two defenders. It seems like he has run up a blind alley as he finds himself at the by-line, but he squeezes out a left foot cross that allows Will Grigg the formality of putting the ball away. Michael Jacobs was involved in another assist in that 5-1 win, sprinting at full throttle from his own half to the edge of opposition penalty box to lay on a superb pass for Grigg to claim his hat trick. In the defeat at Fratton Park five days earlier, we saw a different Michael Jacobs, being peripheral, seemingly lacking in energy. More often than not, when Jacobs has been at his most dynamic, it has been reflected in a good team performance. Stats suggest that scoring first in a football game is so important. That piece of magic from Michael Jacobs produced the opening goal in a game that Latics went on to win. A study based on the Premier League published by smarkets.com shows that the team scoring the first goal from 2014-2017 won 70% of the matches, losing only 12%. Jacobs showed his drive and creativity against the Dons, but his ability to get crucial goals has had a major effect on Wigan’s promotion push. Indeed, of the 10 he has scored, no less than 8 were opening goals that led to victory for his team. Three of those victories were by 1-0 margins, one of those being in the 90th minute in a crucial game at Bradford. Jacobs was in the right place at the right time as he coolly dispatched a sublime flick from Will Grigg. His 30-yard screamer was the only goal in the home game against Northampton in September, his superb left footed finish from just outside the box gave a weakened Latics a similar result at the DW against Rochdale in February. Jacobs was a key player in Gary Caldwell’s League 1 title winning side in 2015-16. He scored 10 league goals in 38 appearances. The sceptics said that he would not be able to perform at the same level in the Championship, where he struggled to with both Derby County and Wolves. His return to the second tier of English football could hardly be called an unqualified success, with just 3 goals under Caldwell and Warren Joyce. However, Jacobs was playing for a struggling side and under Joyce he found himself laden with more defensive duties than previously. Even at League 1 level Michael Jacobs can be enigmatic. So often he can get himself into great positions but cannot show the composure needed to finish a move. His critics would say that he has trouble staying on his feet, going to ground too easily, that his left foot is poor. But Jacobs remains popular among Latics fans for his willingness to put run himself into the ground for his team, together with his moments of brilliance. 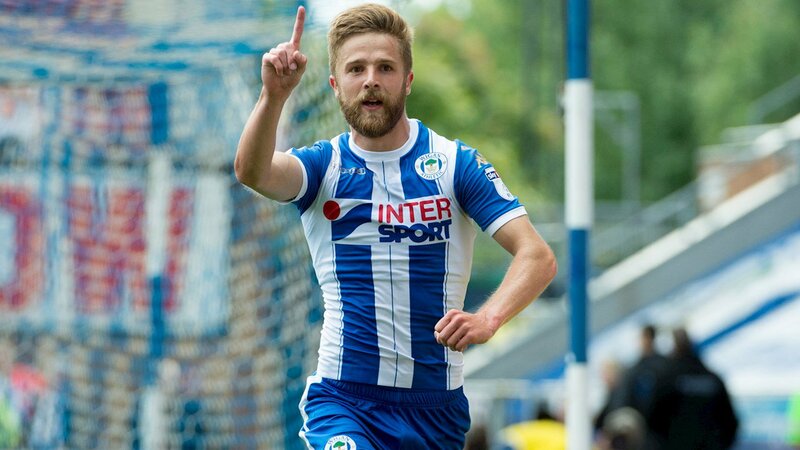 Some will say that the player would not be at Wigan if he were able to consistently perform to his maximum potential but would be playing in a higher tier of football. But Jacobs is still only 26 and has time to continue to progress as a footballer. Given the level of commitment that Jacobs shows on the field of play and the physical demands of his role, it is no surprise that the player cannot “turn it on” game-in, game-out. With a hectic schedule where games come in thick and fast it is difficult for any player of his type to consistently perform at a high level. Moreover, Paul Cook is not a manager who favours squad rotation and Jacobs has almost invariably been the first name on the team sheet for one of the wing positions. He has started in 42 games this season, league and FA Cup. Jacobs has been a key player for Latics over the course of the season. Cook will be hoping he will be at his scintillating best for the seven matches that remain. The acid test for Jacobs will be a return to the Championship, providing Wigan get promoted. With the backing of Cook and his coaching staff, could the player gain that extra little bit of composure that would make him a force to be reckoned with in the second tier?